ISLAMABAD: Singer Meesha Shafi Friday challenged in the Supreme Court the Lahore High Court’s (LHC) decision in the defamation suit filed by her against actor Ali Zafar. She filed a petition with the apex court under Article 185(3) of the Constitution for leave to appeal against the judgment passed by the Lahore High Court on March 27. She submitted that the trial court had not allowed her to defer questioning to the witnesses. 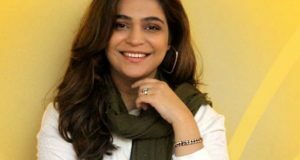 Elaborating her point, Meesha informed the court that on March 9, 2019 she moved an application requesting examination and cross-examination of the witnesses of respondent Ali Zafar in a certain manner, and in particular it was suggested that all the witnesses of the respondent who were present in the jamming session on particular day should be examined first after which her counsel would cross-examine the witnesses of the respondent. She however, submitted that after hearing arguments of the parties the additional judge rejected her application on the ground that no prejudice would be caused to the petitioner. The singer contended that later on she assailed the order of the trial court before the high court but the high court also dismissed her petition wide order March 27, 2019.